The four members of the CUBE SYSTEM are compatible, fully engineered disk based computers, using rack mounted Eurocards following the Acorn standard data bus arrangement. All feature the CU-GRAPH high resolution graphics display, 64K bytes of DRAM memory, one or two double sided disk drives, and include in the price both the appropiate high-resolution monitor and the keyboard. In each case the processor unit is the 6502 based CUBIT, although the 6802 based CUMOT and the 6809 based CUNINE are interchangeable alternatives. With the CUBIT card is the CUBOS operating system which is designed to support a disk operating system that runs Acorn Atom BASIC and is planned to also accomodate BBC BASIC. Thus in each case there is a spare slot, but there is anyway no reason why a customer requiring more spare slots should not order a full 19" wide rack at small extra cost. The 12" format is offered because of its convenient size and the power to cope with most requirements. These computers are COMPLETE with keyboard video, all cables and connectors, and DOUBLE SIDED DISKS. Add only the software of your choice, and a suitable printer, and you are ready for work. The screen format of all of the systems is 80 columns by 25 rows, and the monitor supplied with each system has the resolution to cope with this performance. 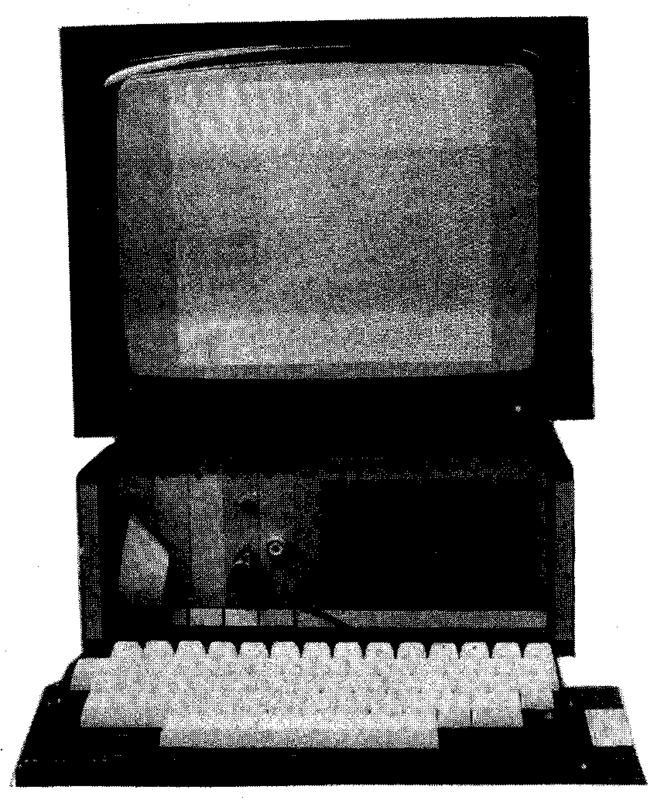 The monochrome screen displays 16K bytes on the screen, and the colour extension involves no trade-off in resolution, as the screen display increases to 48K. The whole of this memory is separate from the computer memory, while uses only 256 bytes to communicate with the graphics processor chip. The price build-up of CUBE systems is shown because of the intention of offering the user an advantage over other computers in that any item in the system may be deleted or replaced or added to without price penalty in order to achieve exactly the desired system. * A printer interface card is added to this list for system 10 and 20 to achieve a complete system ready for use. 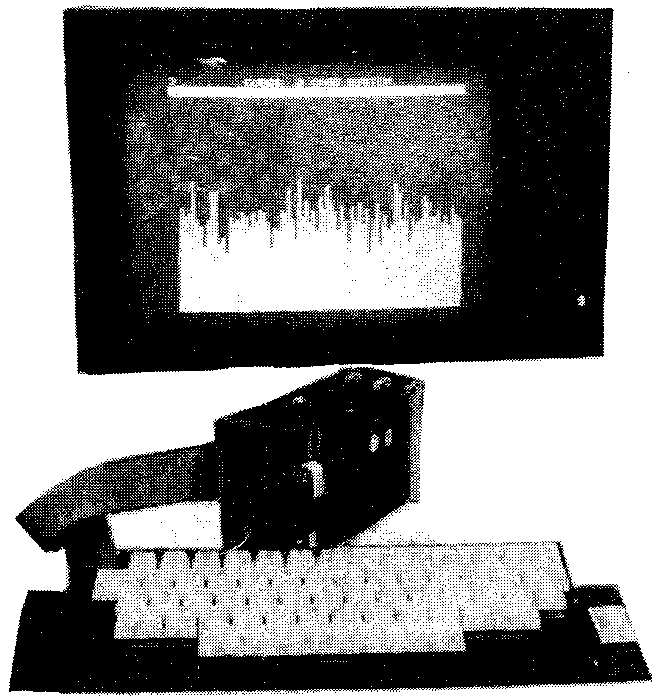 The CU-GRAPH extension included in the colour computers systems 15 and 25 has a built-in printer interface. Single sided disks, costing 195.00 are available as an option to the double sided disks, but our advice is that the small difference in cost is amply repaid by the higher performance. Note that all of the above systems use the standard data bus that is common to Acorn and Control Universal products, so any of the Eurocards from either range may be added to any of the CUBE systems. Deliveries are scheduled to commence in September 1982. CU-KEY is currently an unenclosed keyboard. An enclosure which also adds the option of a 25 key numeric and special function keypad is expected shortly. MEX - MEMORY EXAMINE AND CHANGE. Displays in hexadecimal and binary form the contents of a specified memory address, and allows the user to step forwards and backwards in memory through adjacent locations, and to change data at will. There is also a HOLD command which continuously examines a specified location. This is particularly useful for checking i/o ports as they change in real time. CRC - CYCLIC REDUNDANCY CHECK. Produces a four digit hex value based on the data between specified memory locations. This is especially useful for the checking and identification of PROMs. RAM - MEMORY TEST. Checks the operation of RAM memory between specified locations. Turnkey. Up to 64 characters can be stored in the CUBOS PROM which will be treated as initialization characters as if they came from the keyboard upon switch-on. DOS At switch-on CUBOS checks for the existence of the DOS ROM, and if found to be present, the system enters the Disk Operating System automatically. Assembler. Atom BASIC includes a machine code assembler. This two or three card system consists of the CUBIT 6502-based single board computer and a choice of video cards, bolted together and connected with a three way backplane. It comes complete with a CUBOS operatin system, and can accept the CU-KEY QWERTY keyboard. A popular addition is the Acorn Atom 10K version of BASIC (which includes a machine code assembler and Control Universal's modification to drive the graphics facilities on the 40 column video card) and 8K of battery-backed CMOS RAM memory, both of which are carried on a CU-MEM.